Good news for those who looking for gold and buried treasures and ancient monuments and graves, caves and tombs in the ground. Finally the hard work and the random search end and we put in the hands of explorers and exploration amateur the latest and one of its kind technology. which makes the Prospector to see by his eyes and hears with his permission and touching by his hand, gold, diamonds, gems and buried treasures ancient monuments and cemeteries , caves archaeological and all burials underground before extraction. 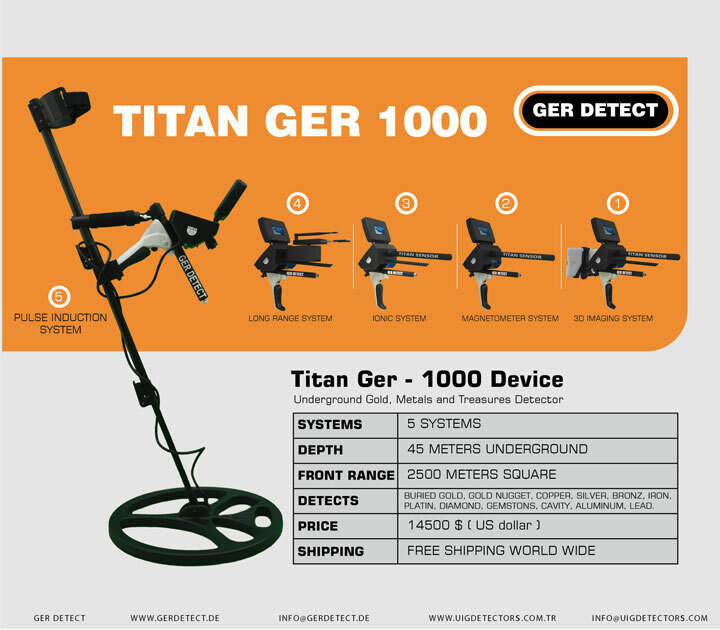 TITAN GER -1000 its multi-system to search for underground treasure. 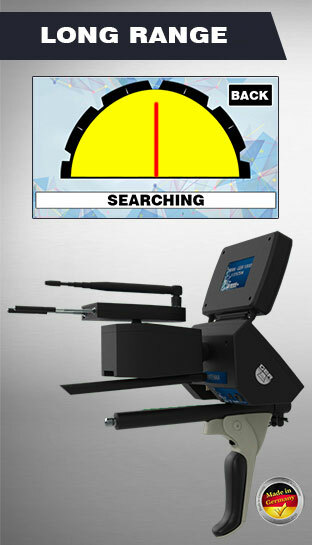 One device contains a complete search station 5 Search systems in one device. 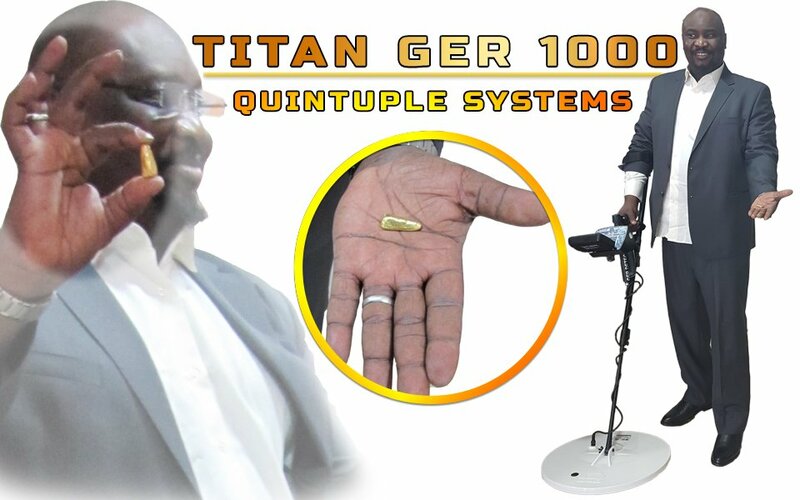 GER DETECT company put all the high-tech in this device to be the first, the specifications of this device is the dream of all prospectors and explorers in the world. 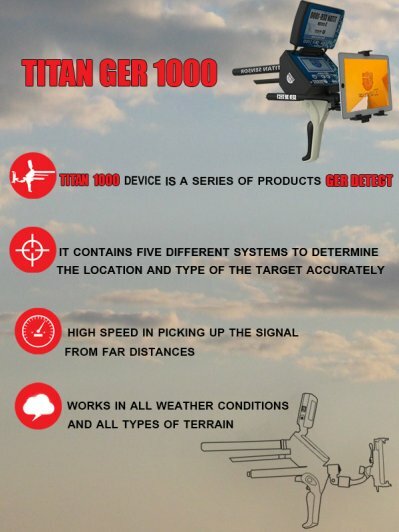 Our experts developed the TITAN GER - 1000 to solve all the big problems wich is facing the exploration in the devices deployed in the market. 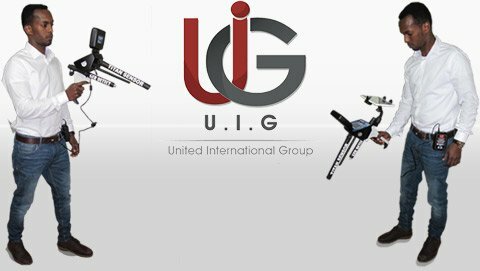 Now for the first time in the world the new technology device works with five different search systems one device to a depth up to 45 meters in the ground and 2500 meters front range. 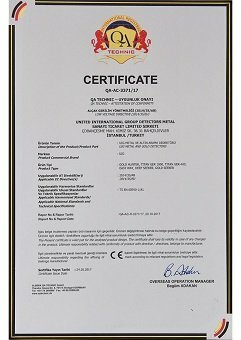 This system very accurate in discrimination and identification and monitoring of the signal and guide you to the target by steering digital smart screen of the device. 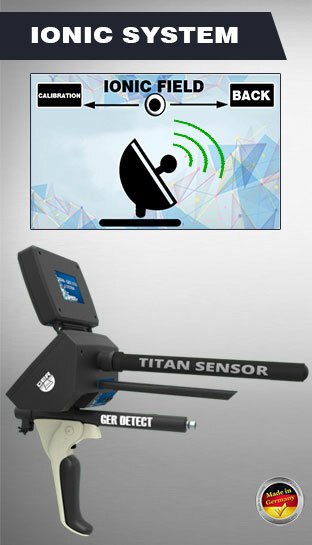 When detect a target will appears on the screen the direction of the target and the user can walk towards the detected target even stand up on the target completely and confined to an area of one square meter with the possibility of very accurate and high specify the type of metal to be detected. And also can select one metal in the search process, such as gold or natural gold or copper, silver or bronze or iron or platinum or diamonds or gemstons or cavity or aluminum or lead. With the ability to determine the extent to the front range of the device, starting from 500 meters or 1000 or 1500 or 2000 or 2500 meters and a depth of 45 meters under the ground. The gold and treasures and burials after be in for a long time under the ground and overlap and interaction with the soil and the nature of the land and the regularity of formation of magnetic north-south lines issue an Ion fields. Among the important points of this system no need any more of long walks and random search in the vast territory. only when you run the device the ionic detection system. When you point the device through the ground, the device will sound an alarm sound of the existence of the object and the user can move toward the detected target even stand up on the target completely and confined to an area of one square meter. 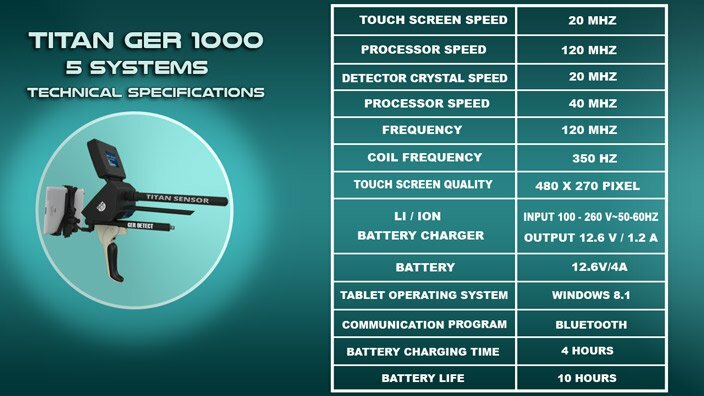 It has Enter on this system a lot of innovative technology and new specifications. scanning all the ground layers and show image from three different directions on the screen of the device results to illustrate the target in the ground from three directions from the side and bottom and top order to clarify show you everything under the ground of gold or metals buried and caves and spaces and basements and graves and all that is hidden underground. And shows the depth of all undiscovered target in centimeter and the device software shows you the beginning and end of the target depth. 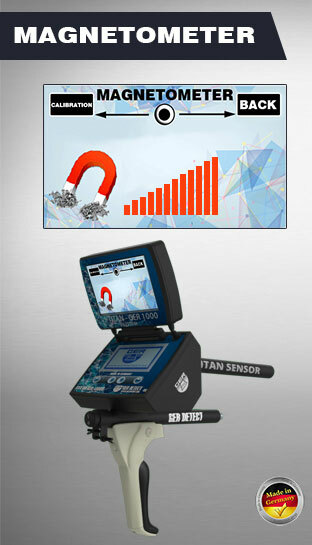 This system is search for magnetic metals such as iron and derivatives, this system allows you to know if there are any non precious underground metal The depth of this system up to 45 meters in the ground. The device works on PULSE INDUCTION system frequency. And featuring penetrates the ground to a deep which is difficult for many devices to reach it. Best and latest international technologies of pulse induction systems to detect buried gold, antiquarian treasures, tunnels, caves, and precious coins underground. 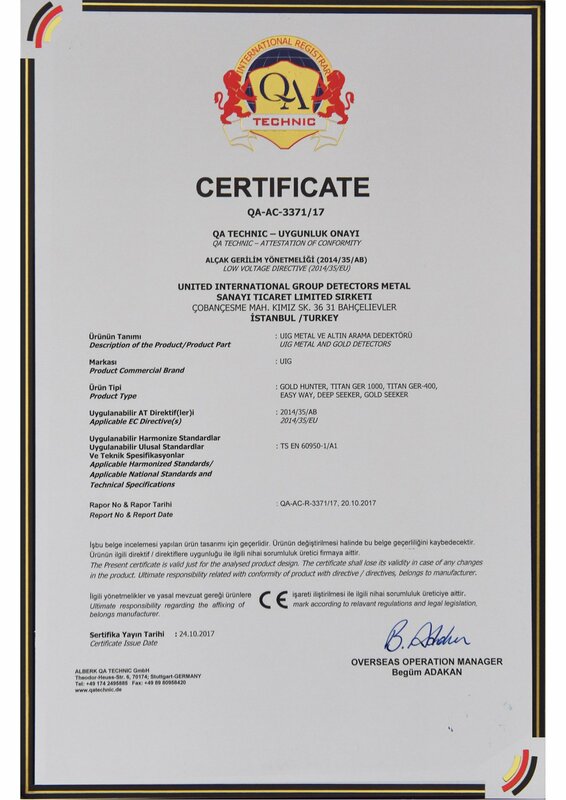 In addition there is automatic calibration feature with the ground to ensure that the device will not affected with the interference caused by wet soil, metal rock or hard ground. five search systems in one device. The Device depth is 45 meters. Possibility of identifying the target depth under the ground. front range up to 2,500 meters with The possibility of determine the Front Range required Starting from 500 meters or 1000 or 1500 or 2000 or 2500 meters and a depth of 45 meters underground. Determine the metal to be searched for . The device works in four languages - German –English - French – Arabic . 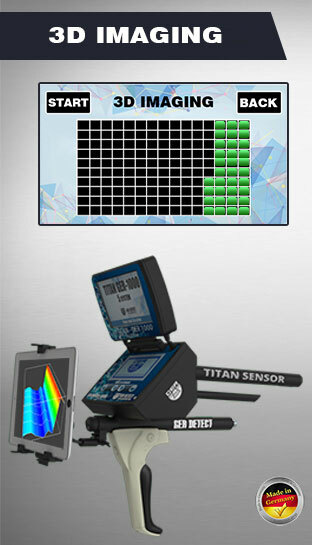 full weight of the device with accessories only (9 kg). 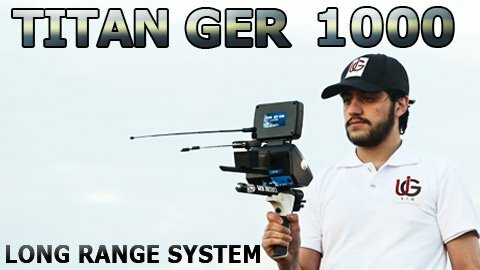 TITAN GER - 1000 Device is one of the best German innovations with European cϵ certification according to international specifications.